Hello! Welcome to Day 3 of Taylored Expressions January Sneak Peeks! All new products will be released tomorrow @ 7 AM PST. 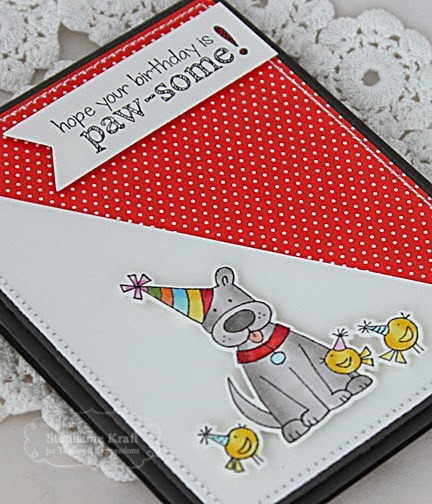 I have two cards to show you today, both of which feature our favorite four-legged friends. 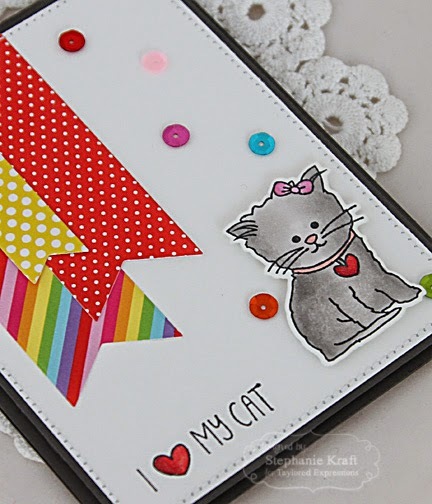 First up is the Graysie Petite Stamp & Die Combo. 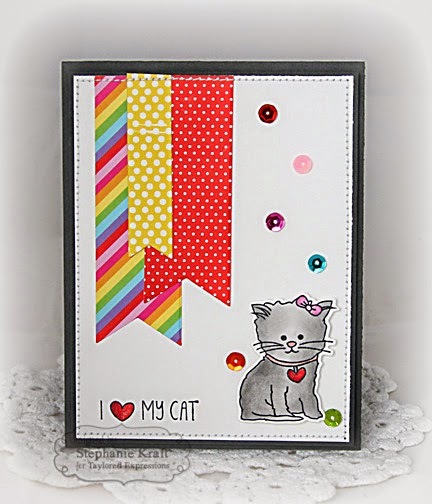 I stamped, colored and die cut this sweet feline and popped her up on my card. 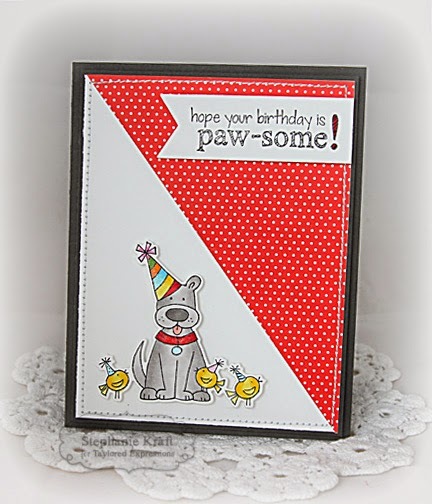 Next up is the Paw-some Petite Stamp & Die Combo. Isn't he sweet? Accessories: Taylored Dies: Banner Stacklets 1, Rainbow Brights Sequins (TE), Markers (Copic), Wink of Stella Glitter Pen, Foam tape, Thread, Sewing machine. Accessories: Taylored Dies: Banner Stacklets 1 (TE), Markers (Copic), Pearl (Kaisercraft), Wink of Stella Glitter Pen, Foam tape, Thread, Sewing machine. Love the pup and kitty, but then I love animals. Very cute cards. What cute cards...what adorable critters!